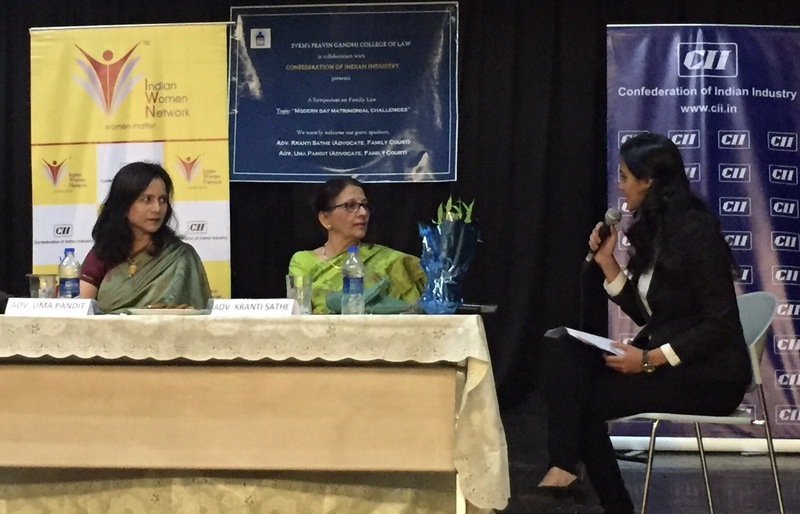 CII Indian Women Network (IWN) – Maharashtra Chapter organised an interactive session on “An Insight on Indian Family Laws” with the students of Pravin Gandhi college of Law on Saturday, 08th October 2016, Mumbai. Panellist Adv. Kranti Sathe and Adv. 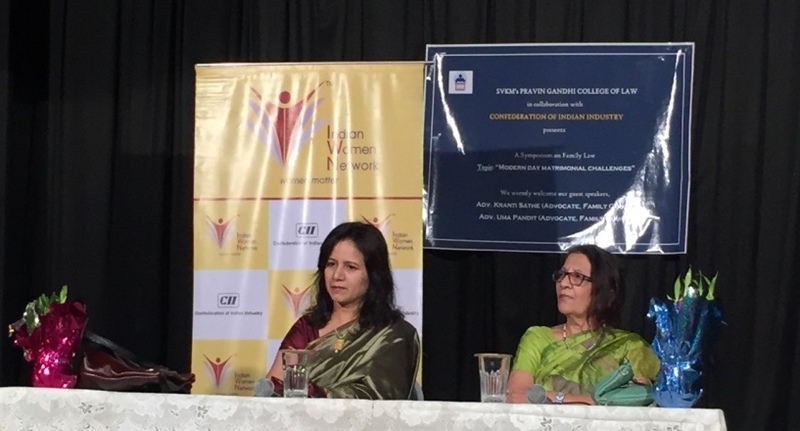 Uma Pandit spoke briefly about family laws and the new amendments in the law. The session ended with an interactive question and answer where topics from functionality of family court to role of the counsellors in family court were raised by the students. (L-R) Panelist Adv Uma Pandit and Adv Kranti Sathe at Interactive Session on 'Indian Family Laws'.